Single-issue cannabis political parties exist to oppose the laws against cannabis. In 2013, the Drug Law Reform Party successfully registered with the Australian Electoral Commission, with over 500 members as required. Although the party represents the liberalisation of drug laws in general, cannabis remains a primary focus (http://www.druglawreform.com.au/). In Canada, the Marijuana Party of Canada was launched by Marc-Boris St-Maurice as a follow up to the Québécois Bloc pot in February 2000 to work at the federal level. There are also other party organizations at the provincial level. The Liberal Party of Canada adopted a pot legalization policy at their recent party convention. In France, the party "Cannabis sans frontières" (Cannabis Without Borders) has participated in European elections in 2009 and received 0.14% (4015 votes). In Israel, the Ale Yarok (Green Leaf) party participated in the past three elections and came close to winning a Knesset seat. Recently, the group Legalise Cannabis Ireland has been building a campaign to legalise cannabis in Ireland. It organised the first cannabis march in Ireland and was the only group to provide information about contaminated cannabis or 'grit weed' in Ireland. It is currently building membership to become a registered political party. In New Zealand, the Aotearoa Legalise Cannabis Party ran for the first time in 1996. They have never had any Members of Parliament, but have averaged around 1% of the popular vote - one fifth of what is necessary to gain MPs under New Zealand's proportional representation system. A former member, Nandor Tanczos, was an MP as part of the New Zealand Green Party (1999–2008). (He was also New Zealand's first ever Rastafarian Member of Parliament). The party had candidates in the 2008 general election. The New Zealand Green Party maintains a cannabis-reform policy, focused around decriminalisation. Also deserving of mention is Dr. Mario Oriani-Ambrosini. A Member of Parliament in South Africa, he was diagnosed with cancer and subsequently began lobbying for the legalization of Medical Marijuana. He went so far as to address the entire Parliament sitting in Cape Town with an impassioned plea for the Members of Parliament to consider the legalization of Medical Marijuana. Sadly he passed away shortly after this but thanks to him and other activists, South Africa seems to be heading in the direction of eventually legalizing Cannabis for medical use. The Legalise Cannabis Alliance has now re-registered as a political party, under a new identity of CLEAR - Cannabis Law Reform, but with a different policy, spokespersons, logo, emblems, fliers and aims. CLEAR leader Peter Reynolds contested only one by-election, in Corby, receiving an all-time low for a cannabis candidate, possibly because he stood on control and taxation rather than legalisation. The party is no longer registered. The Green Party of England and Wales and the Scottish Green Party support the legalisation of cannabis for both medical and recreational use. Cannabis Is Safer Than Alcohol (CISTA) is a political party founded in 2015. In the 2015 General Election they campaigned for a Royal Commission to review the UK's drug laws relating to cannabis. CISTA is for harm reduction. In the United States, both the Libertarian Party and the Green Party advocate for the legalization of marijuana. There is also the United States Marijuana Party that has local chapters in 29 states, as well as state-level parties. Members associated with the US Marijuana Party have run for office, including Edward Forchion (for multiple offices) and candidates from the Marijuana Reform Party (for governor). In July 2014, a YouGov.com poll concluded that 61 percent of Americans supported the Colorado law that makes recreational marijuana use legal but applies a heavy tax on marijuana sales, limits the sale of marijuana only to people 21 years old or older, and makes it illegal to take marijuana out of state. According to the poll, sixty-eight percent of Democrats, 60 percent of independents and 52 percent of Republicans said they supported the law. In Florida: People United For Medical Marijuana. In Minnesota: the Grassroots Party and the Legal Marijuana Now Party. In New Jersey, there is the Legalize Marijuana Party. In New York State, in 1998 and 2002, the Marijuana Reform Party of New York State ran candidates for governor and other statewide offices. In 2004, a federal judge held that, by running candidates in 1998 and 2002 statewide elections, the Marijuana Reform Party demonstrated a "modicum of support" sufficient to entitle it to an injunction compelling the state board of elections to recognize the party and allow voters to enroll in it. It is viable in New York State because of its unique fusion political system. 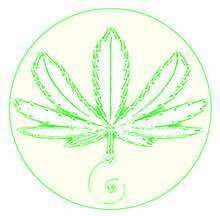 ↑ "Help End Marijuana Prohibition: HEMP Party". Australianhempparty.com. Retrieved 2011-04-20. ↑ "Archived copy". Archived from the original on 2011-09-27. Retrieved 2014-03-20. ↑ "Green Party | Caroline Allen: UK drugs legislation 'is failing us all'". www.greenparty.org.uk. Retrieved 2016-11-18. ↑ "Scotland can support people addicted to drugs:". Scottish Greens. 2016-03-04. Retrieved 2016-11-18. ↑ Worth, Robert (November 7, 2002). "The 2002 Elections: Smaller Parties". The New York Times. The New York Times Company. Retrieved November 13, 2009. 1 2 Swanson, Emily. "Even Republicans Support Colorado's Marijuana Legalization Law." The Huffington Post. TheHuffingtonPost.com, 15 July 2014. Web. 30 July 2014. <http://www.huffingtonpost.com/2014/07/15/marijuana-poll_n_5588147.html>. ↑ Hanson, Alex (25 August 2016). "Weekly politics wrap-up: Ballot access in Iowa". Iowa State Daily. ↑ Stassen-Berger, Rachel E. (24 August 2016). "Don't like Trump or Clinton? You have choices". Pioneer Press.